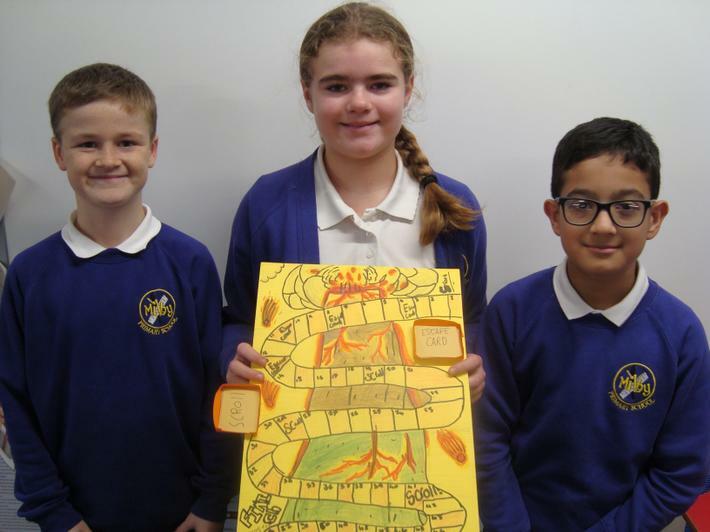 The year 6 team for 2018/19 consists of Mr Archer and Ms Fell (6N), Mr Whitehouse (6M) and our teaching assistants Mrs Dhami (6M) and Mrs Goodyear (6N). 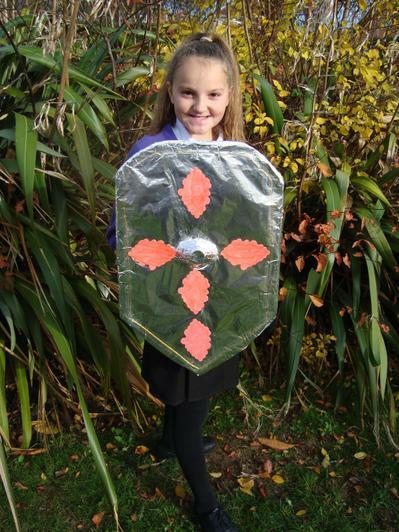 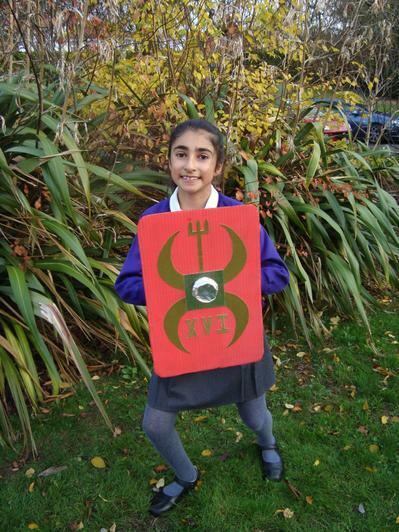 This term, the children will be studying the Shakespeare play Macbeth. 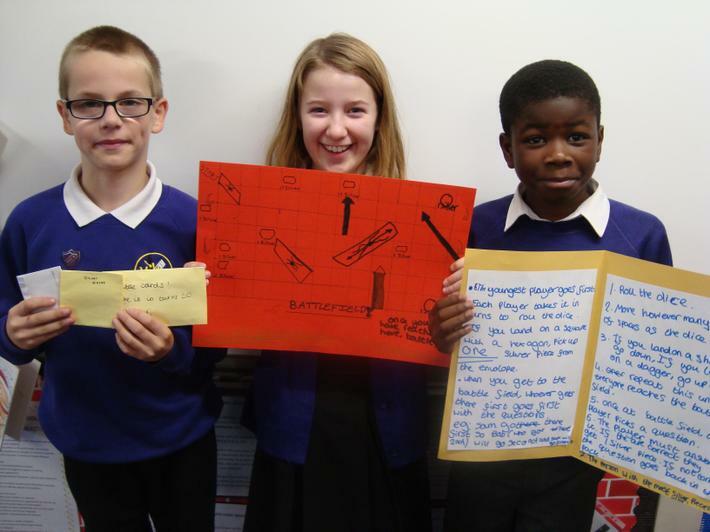 They will use drama techniques to understand characters from the play and explore the themes in this dark tale. 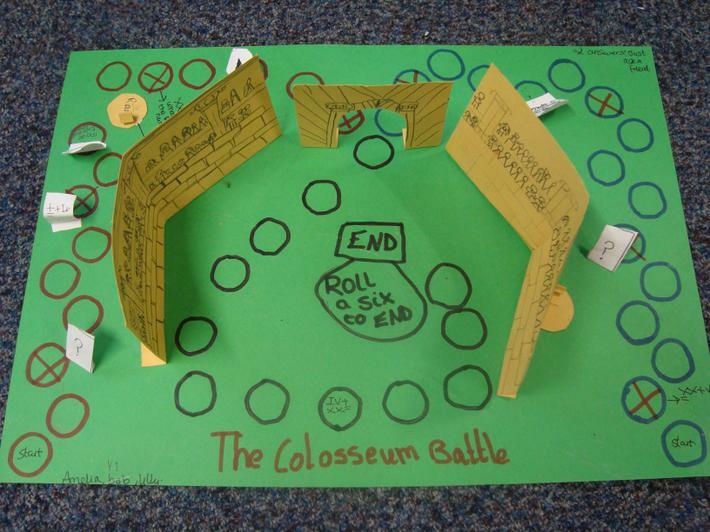 The topic will culminate with the children performing their own version of this play in three acts. 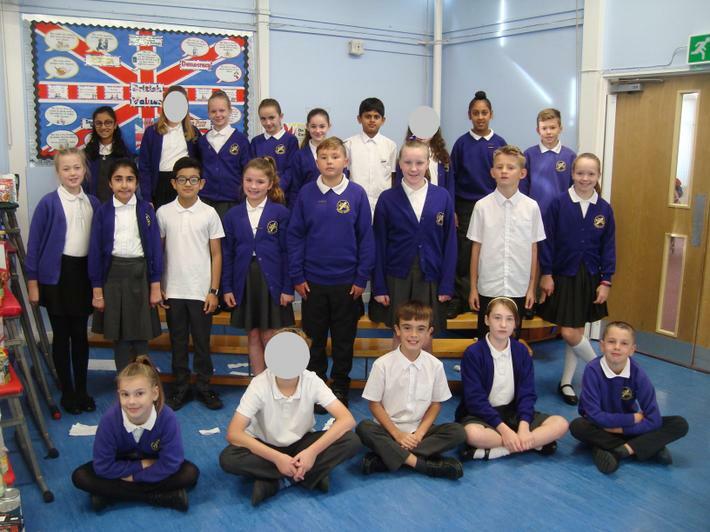 The children represented Nuneaton and Bedworth against other winners from around the county. 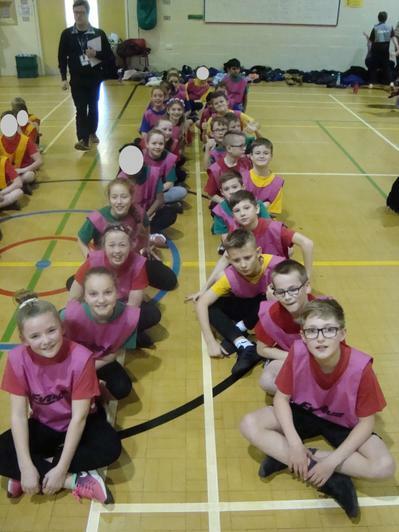 They showed great sportsmanship and dedication in their events during the competition. 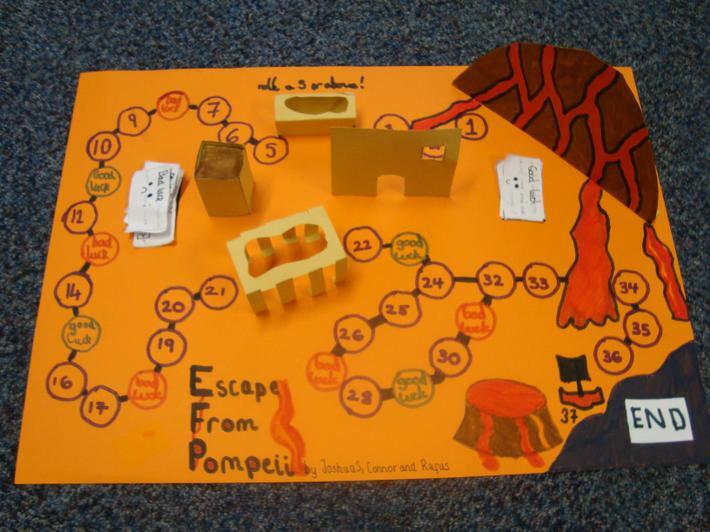 Milby finished in 8th place and can feel very proud of their efforts during the competition. 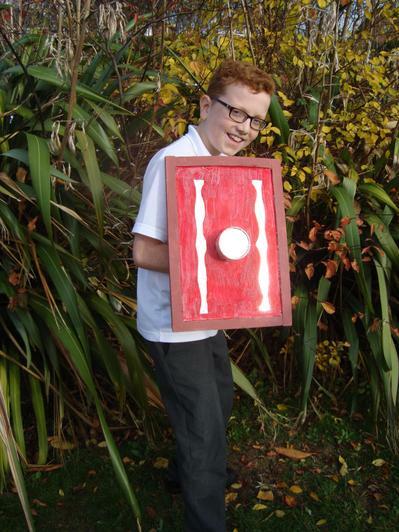 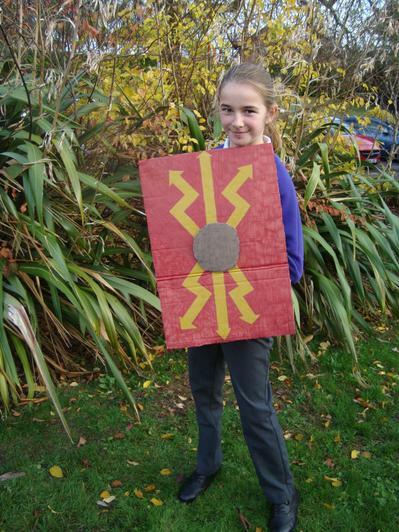 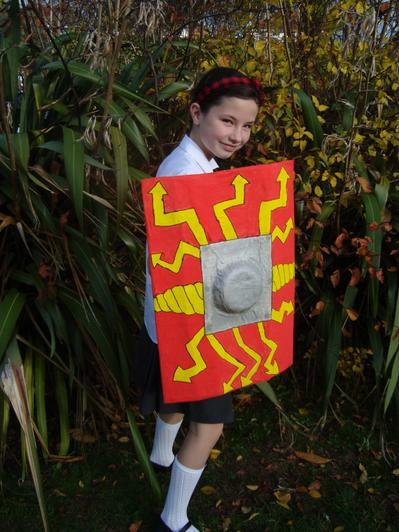 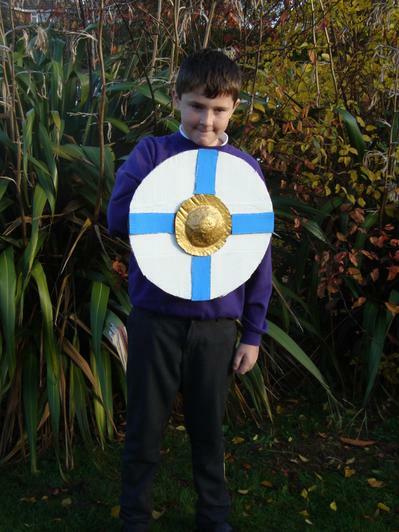 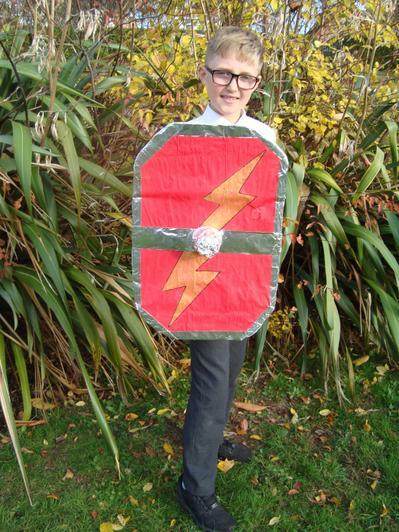 The children in year 6 thoroughly enjoyed World Book Day on Thursday 7th March. 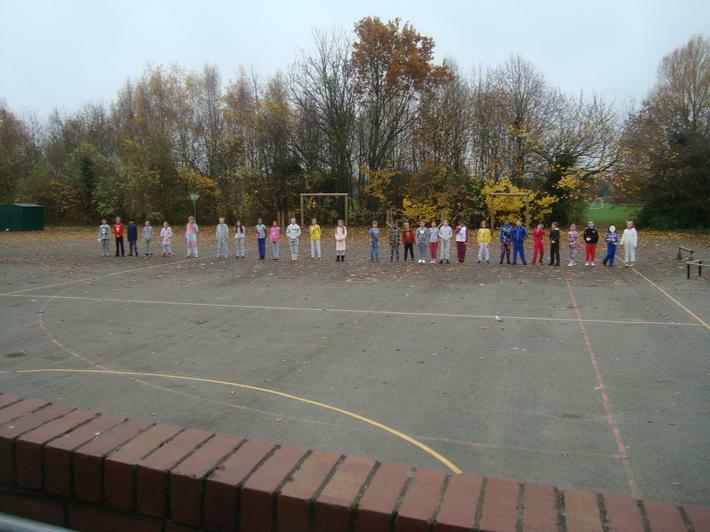 Well done to everyone who dressed as their favourite book character or brought their favourite book in to share. 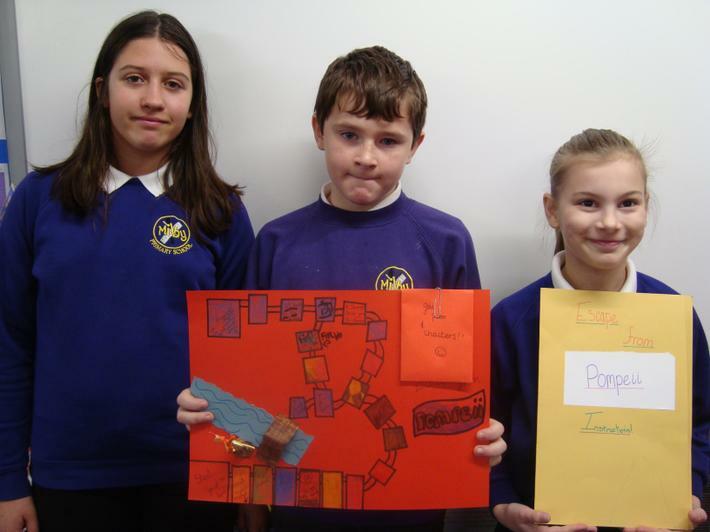 The children focused on the author Anthony Horowitz and they were enthralled with his fantastic horror stories. 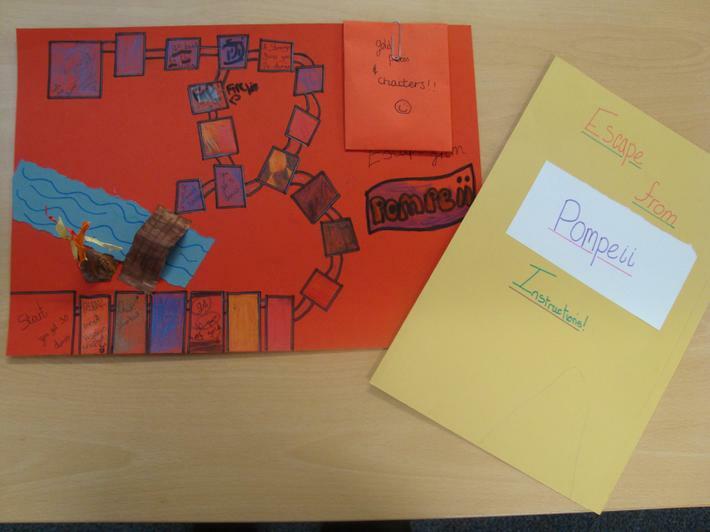 We have had many new converts to this genre of fiction that they have never experienced before! 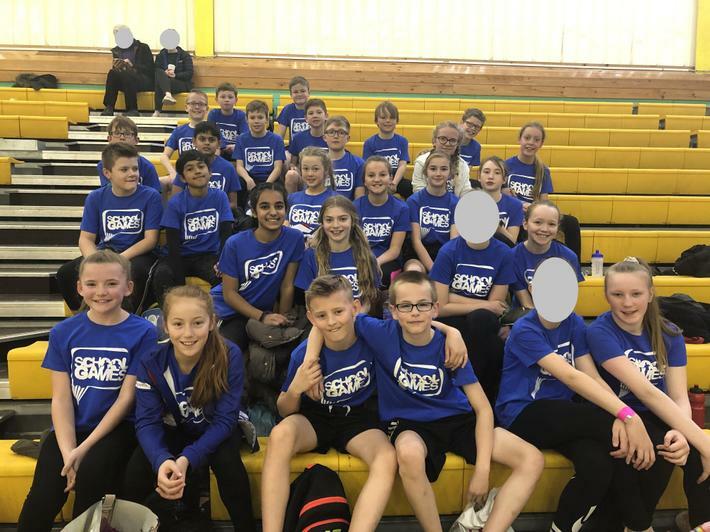 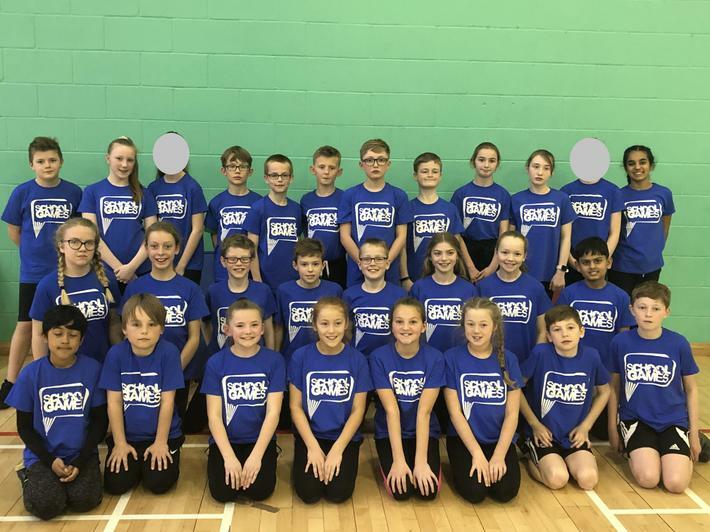 Congratulations to all the members of our indoor athletics squad who successfully won the town final and will now represent Nuneaton and Bedworth in the county finals in March. 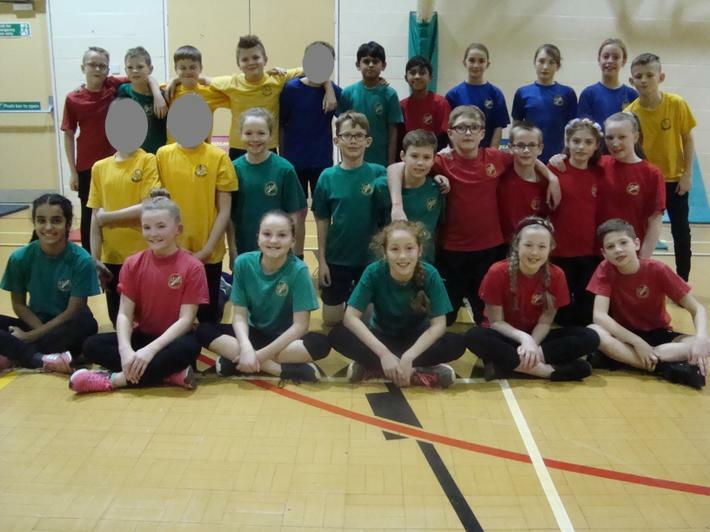 The children showed fantastic sportsmanship throughout the competition and were great ambassadors for Milby. 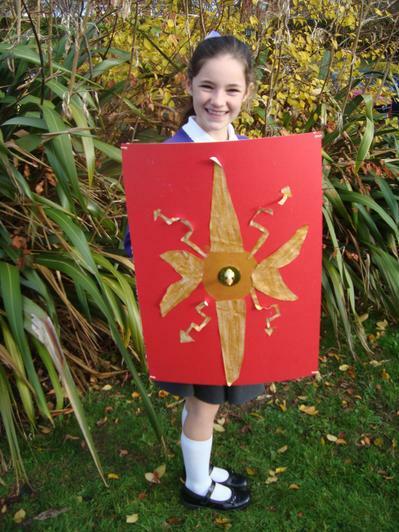 Good luck to everyone involved in the next round! 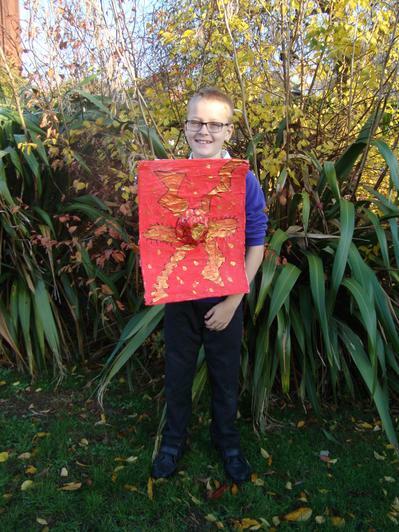 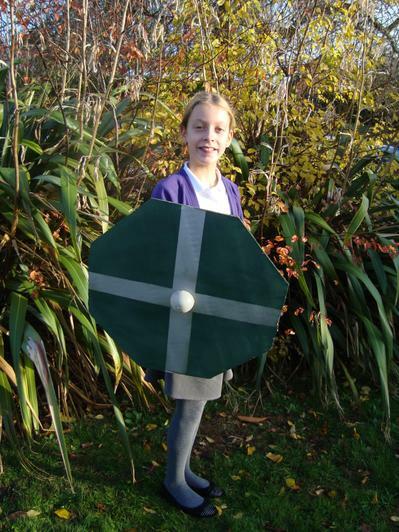 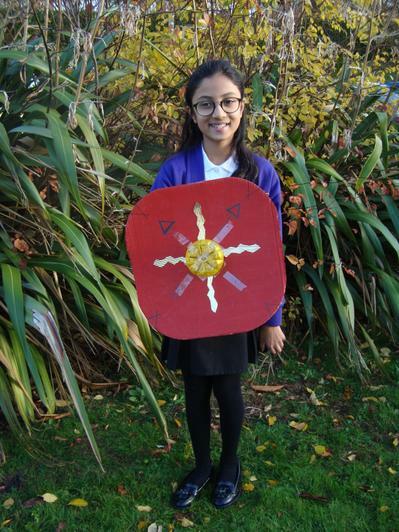 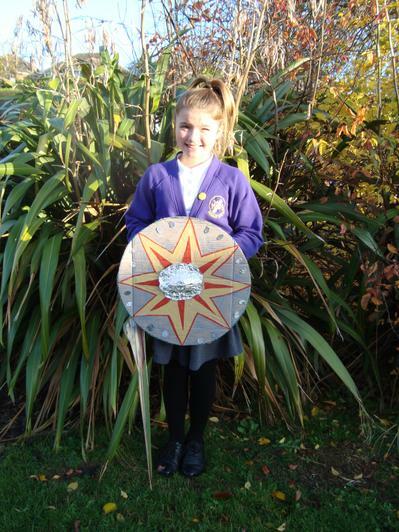 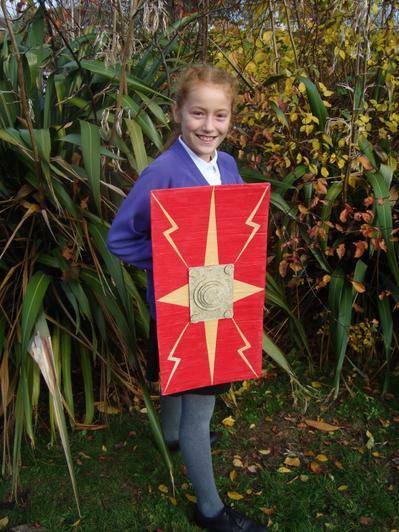 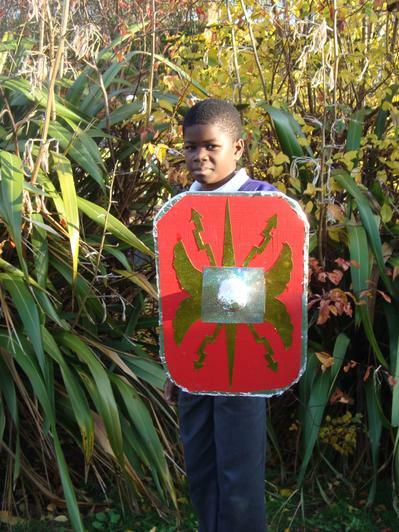 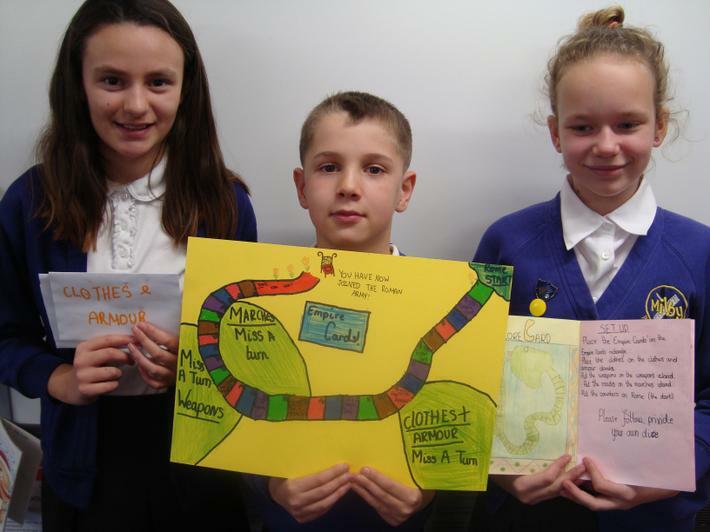 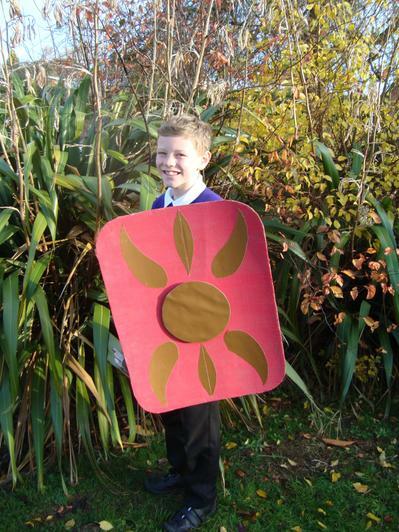 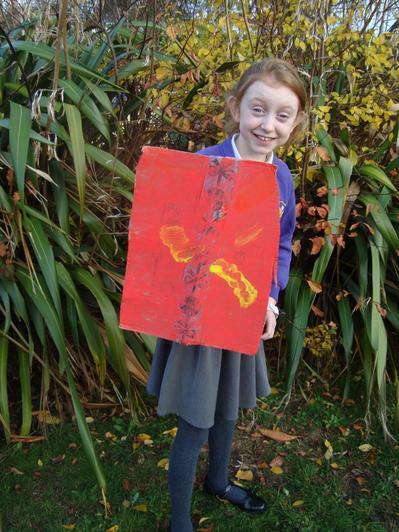 In the autumn term, year 6 and the rest of Milby Primary took part in a poetry week. 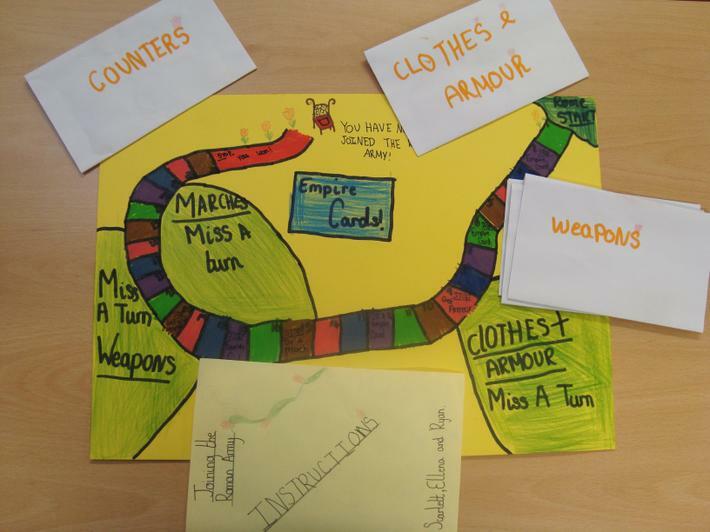 Every class looked at the text Imagine a Day by Sarah Thomson as the stimulus for their own learning. 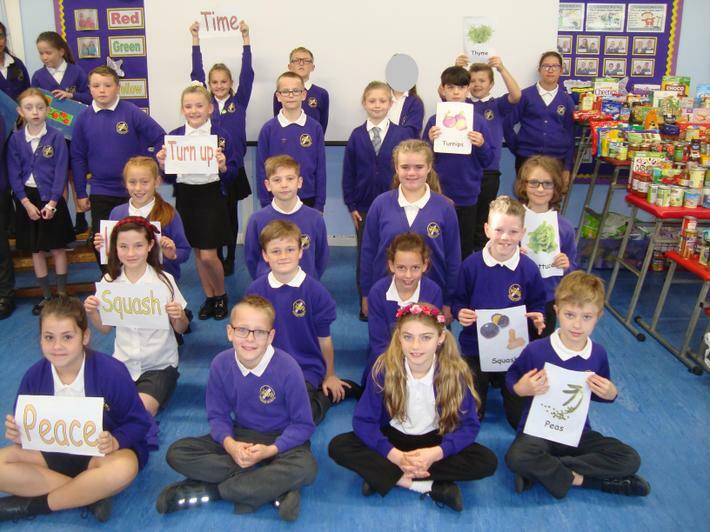 The children enjoyed arranging jumbled poems; learning and reciting texts by heart; and innovating and inventing their own poems based on abstract nouns. 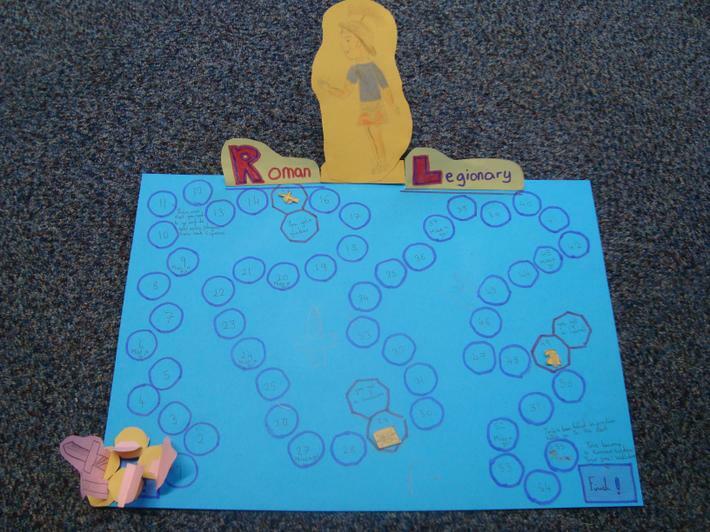 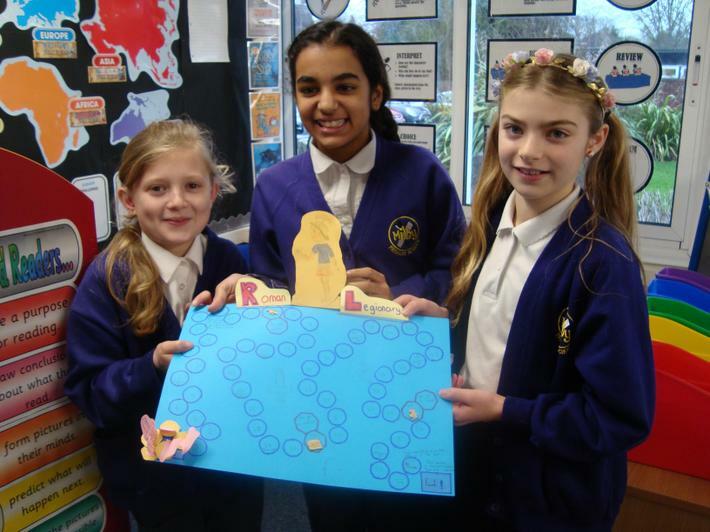 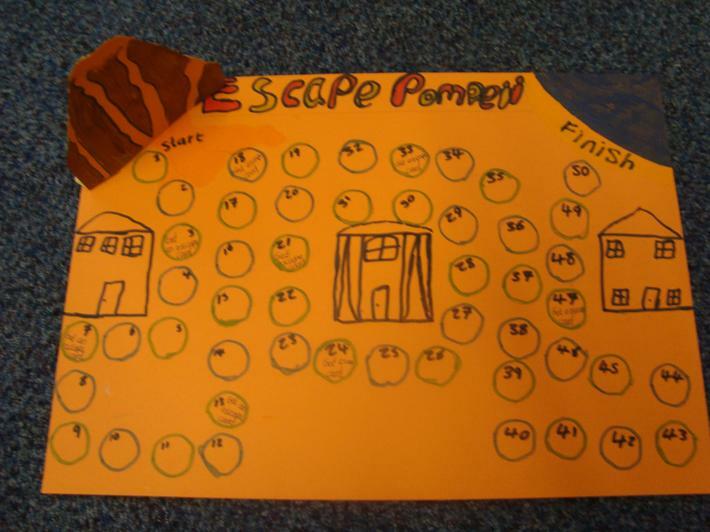 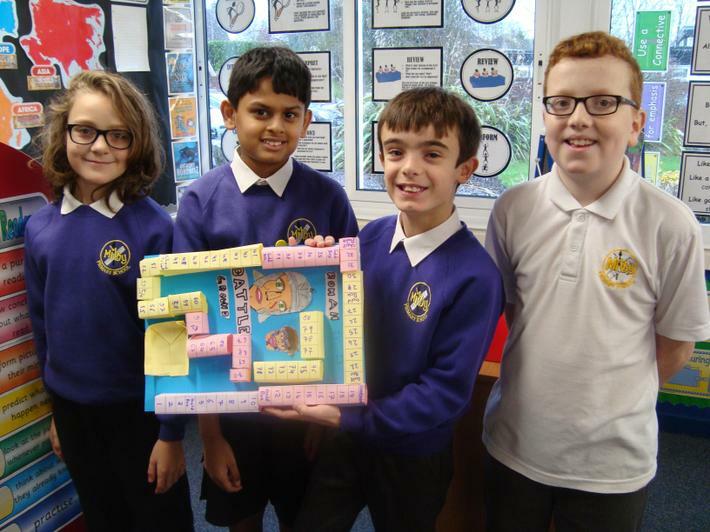 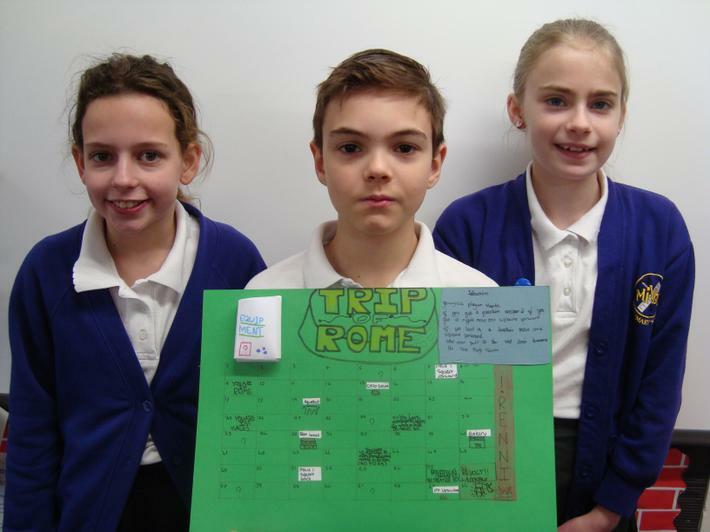 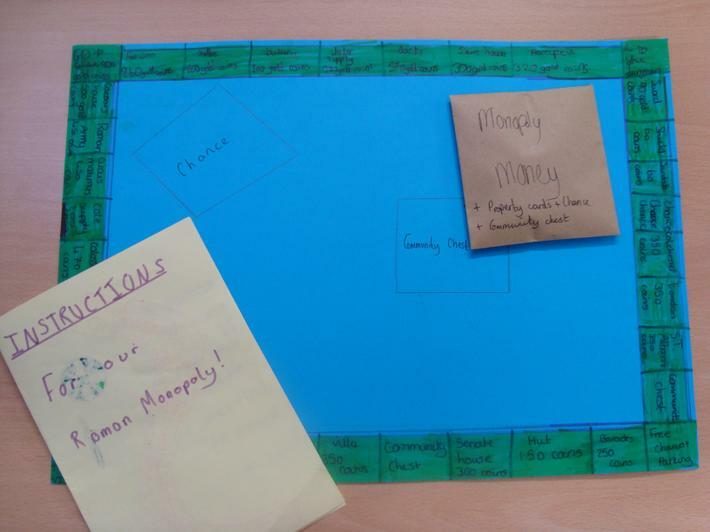 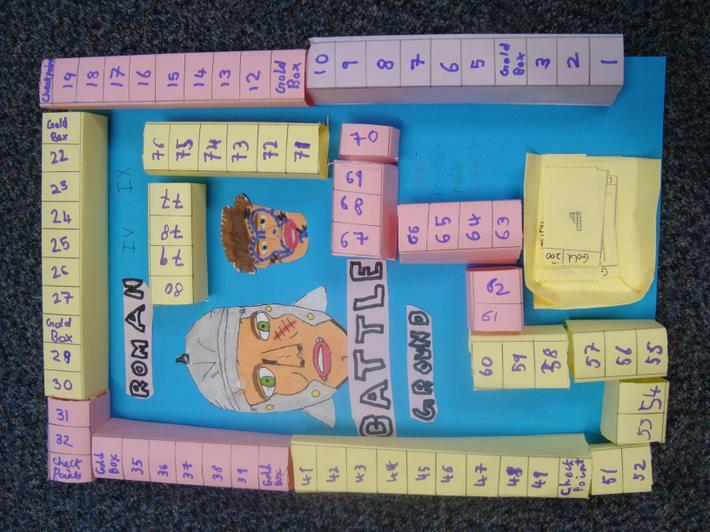 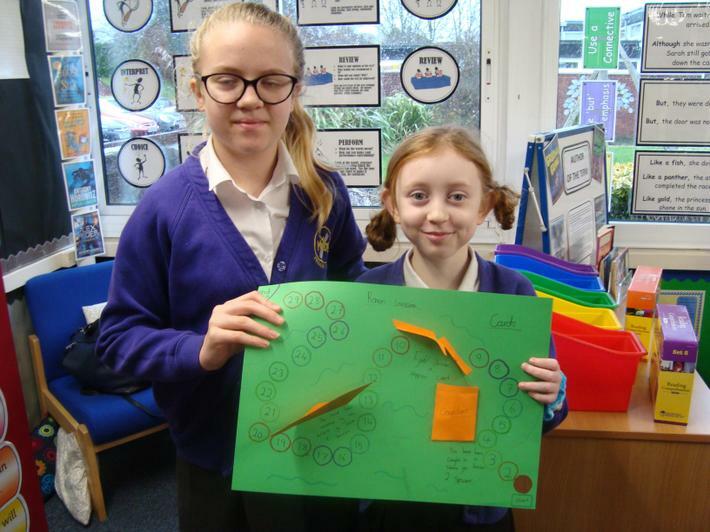 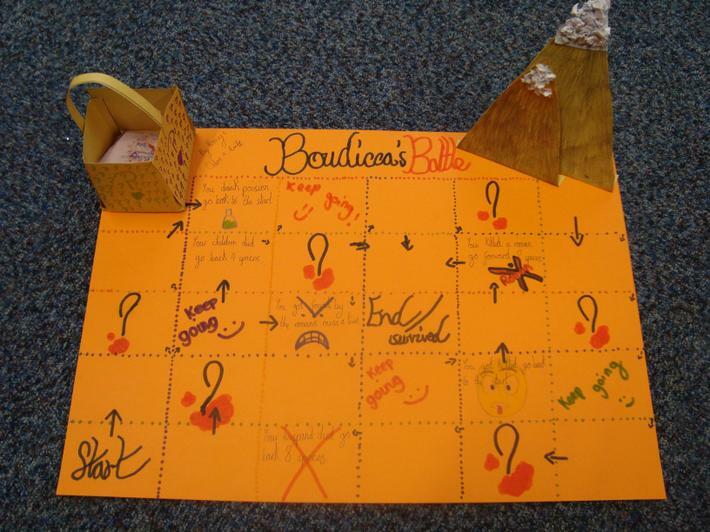 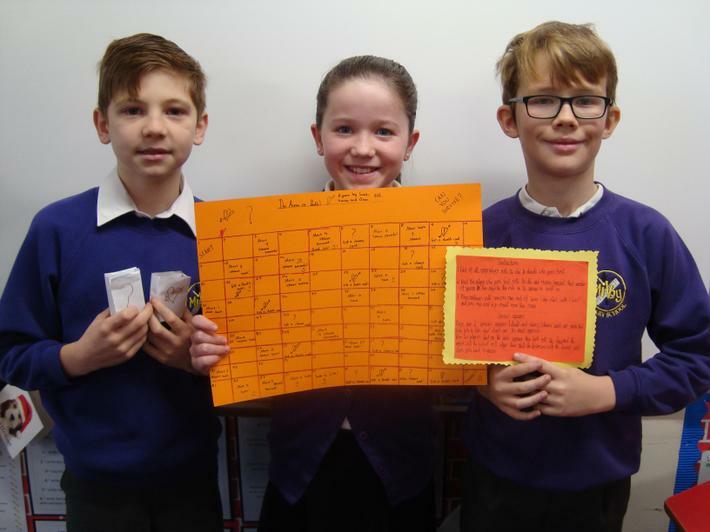 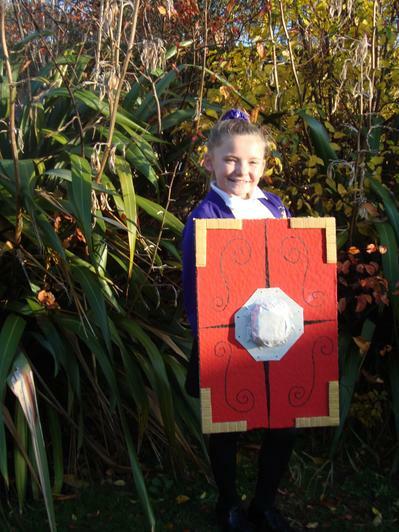 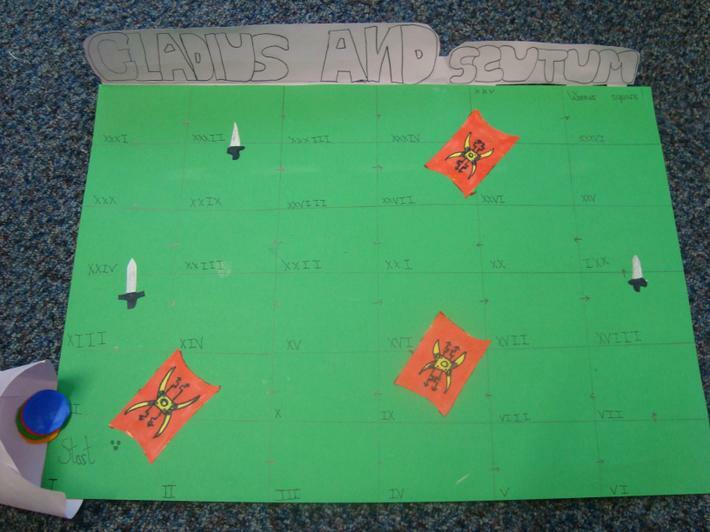 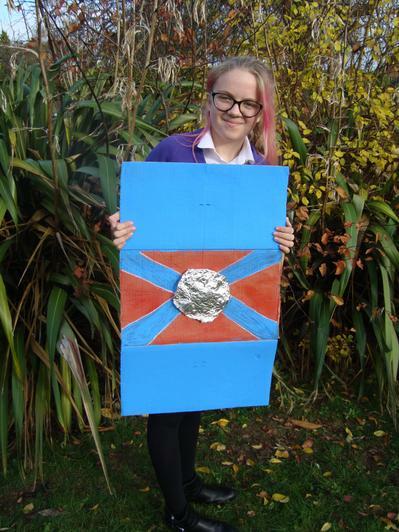 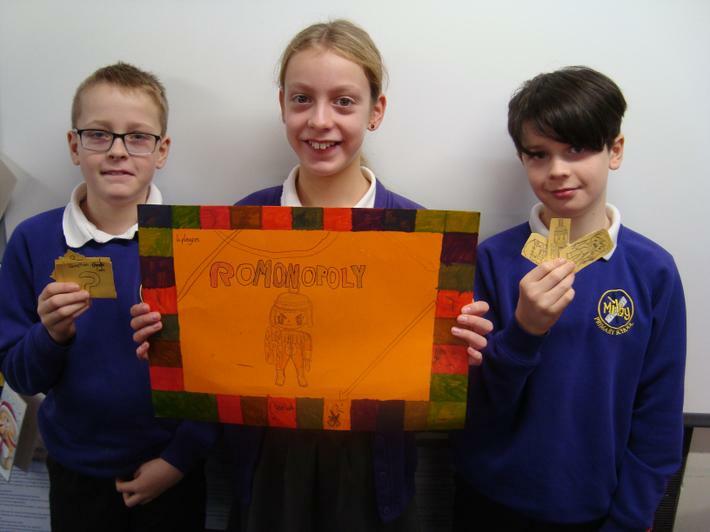 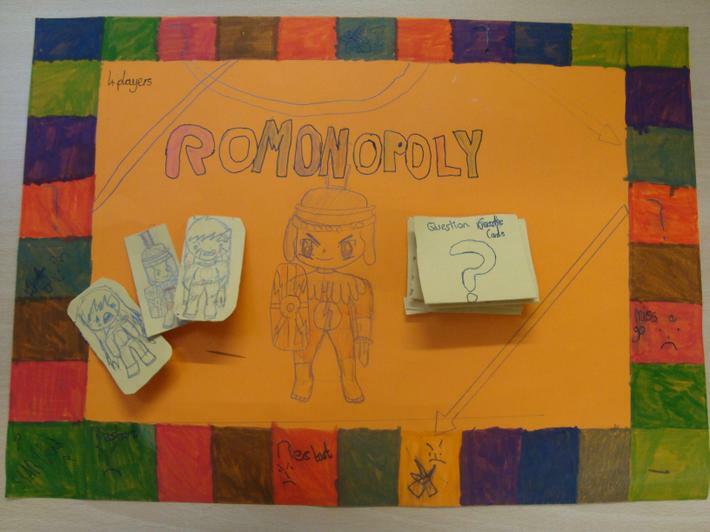 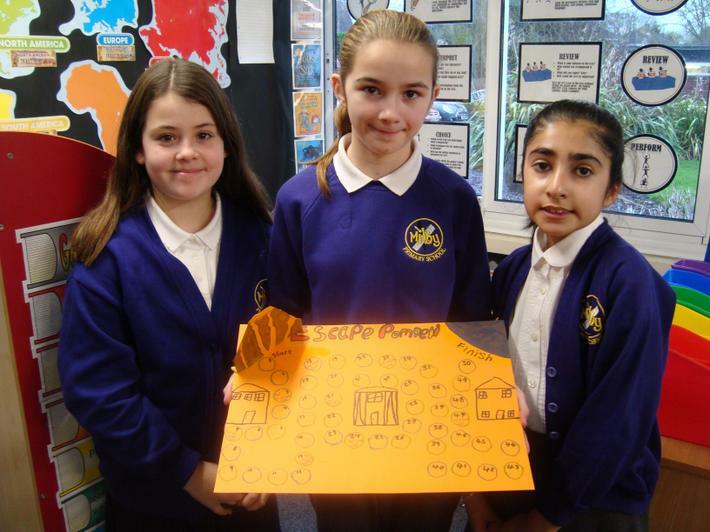 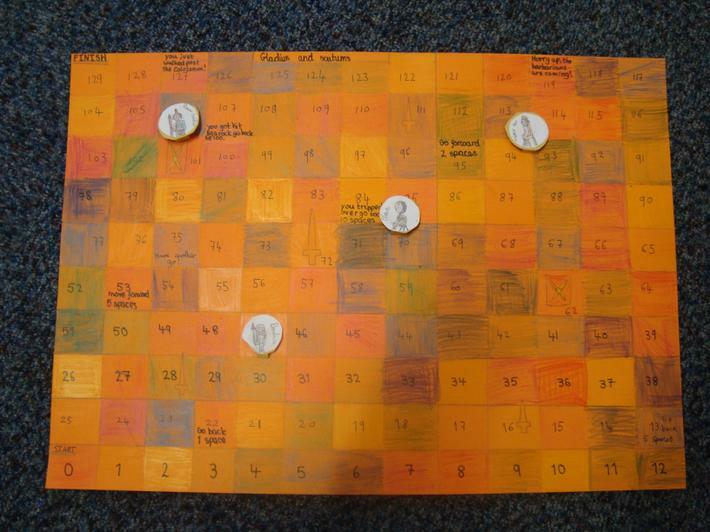 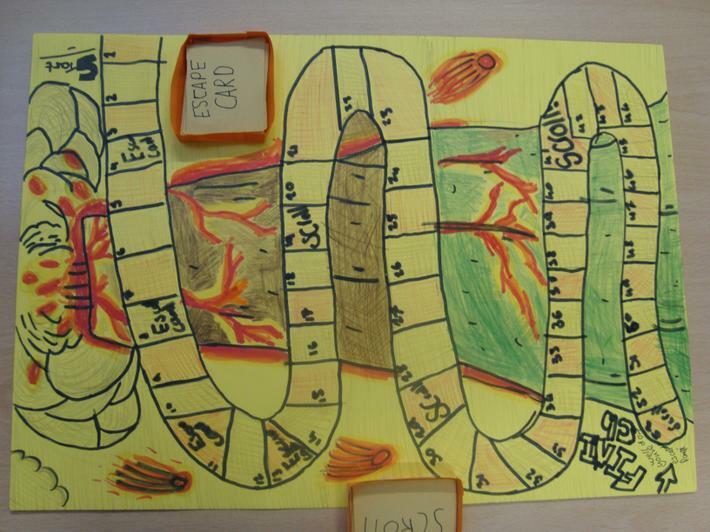 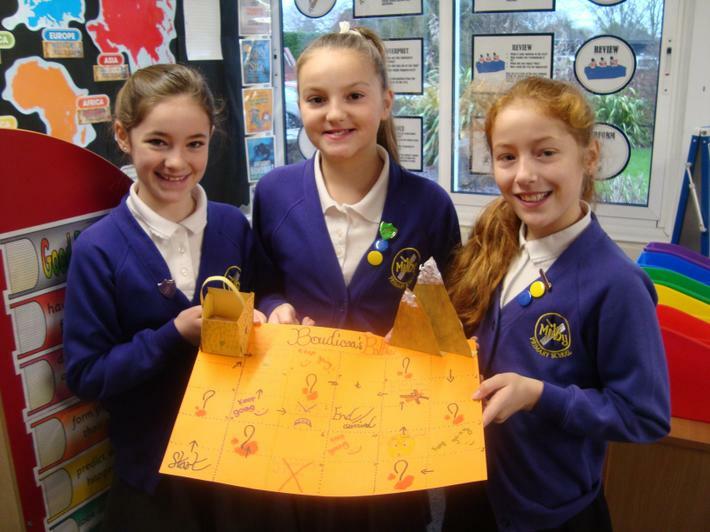 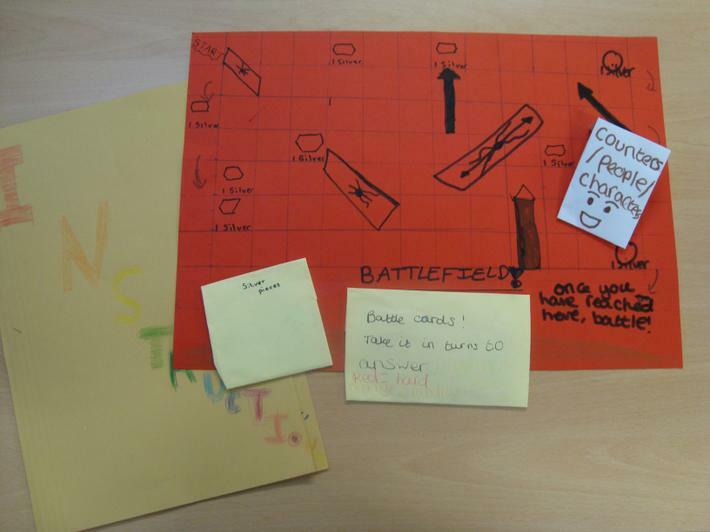 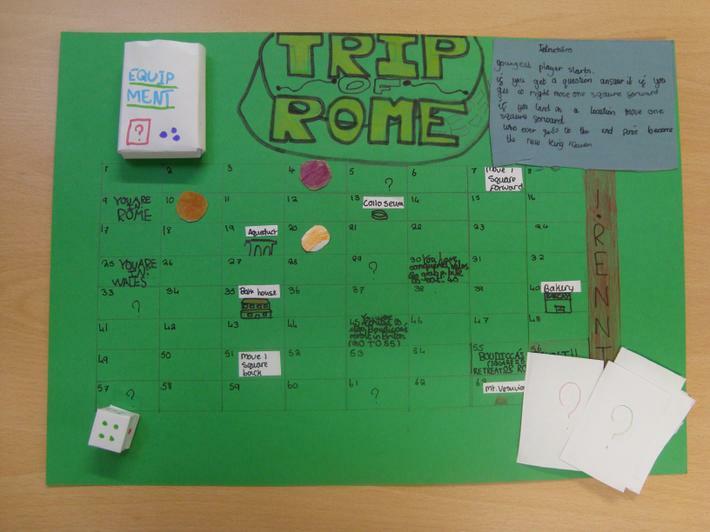 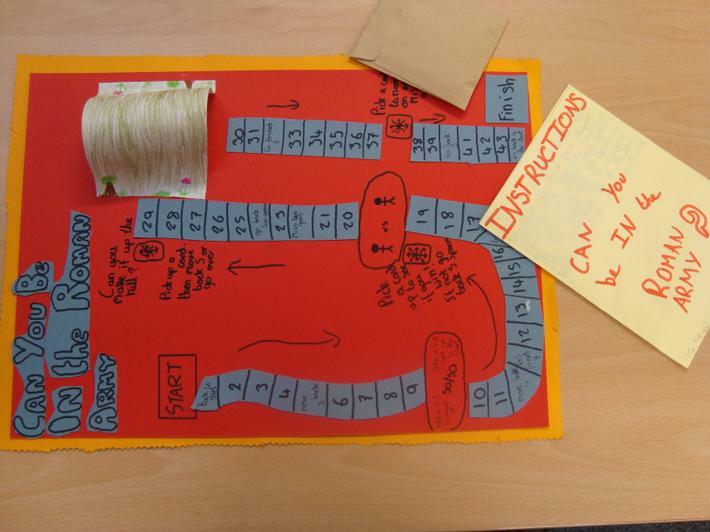 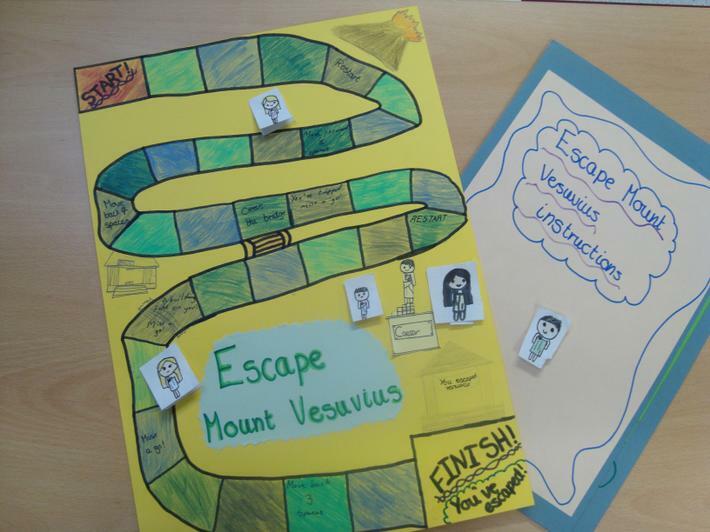 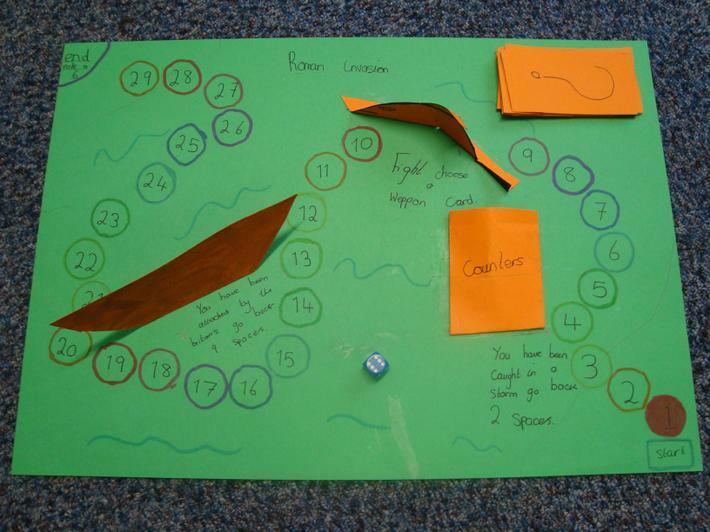 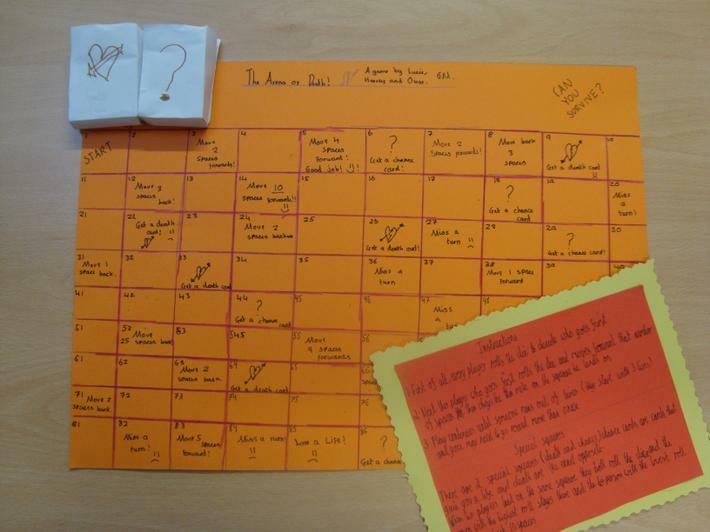 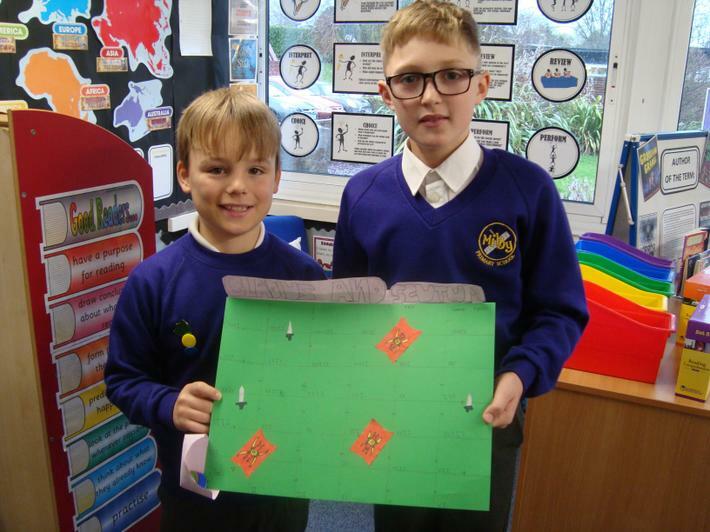 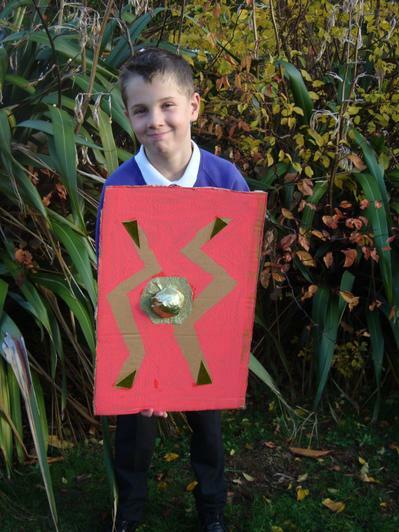 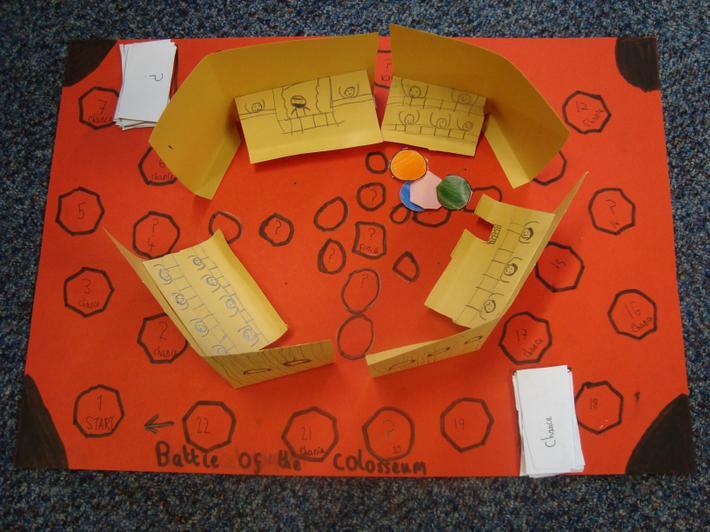 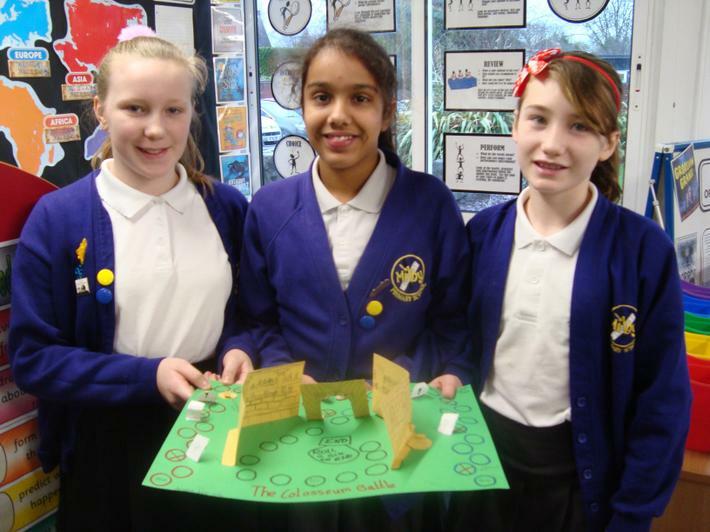 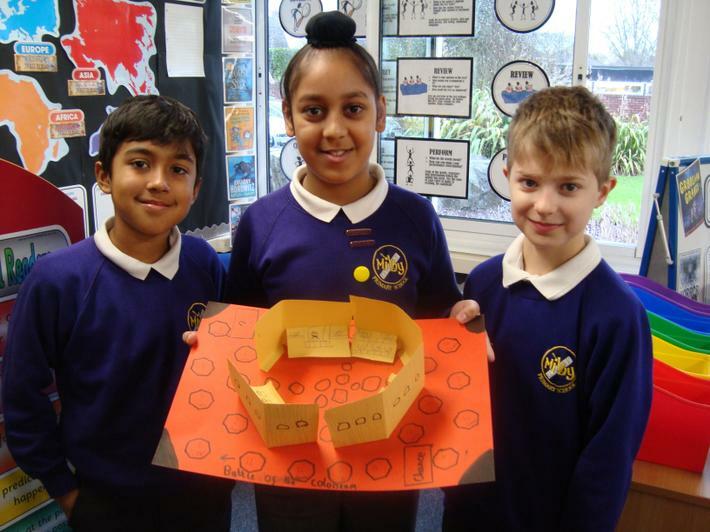 The children finished their Romans topic by creating adventure board games. 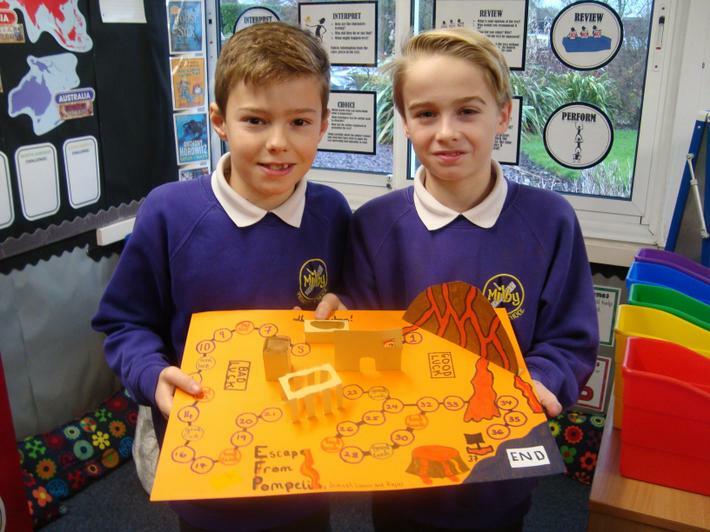 They worked together in small teams to design and make all the boards, pieces and instructions. 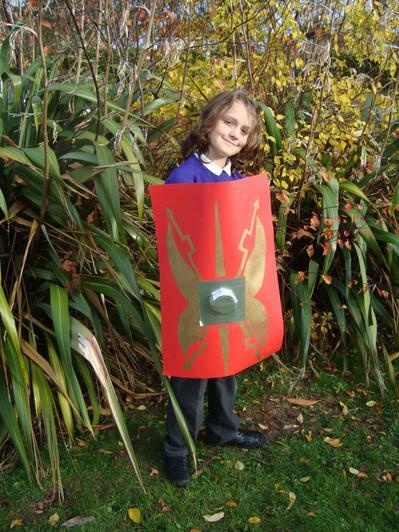 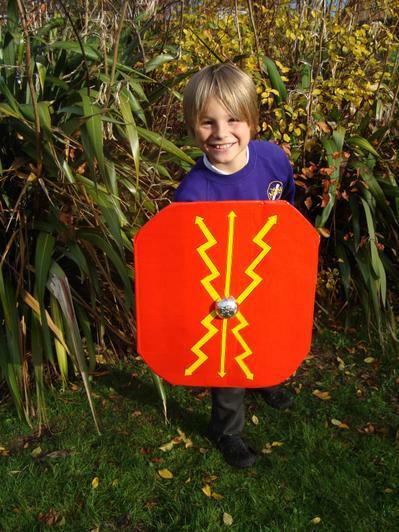 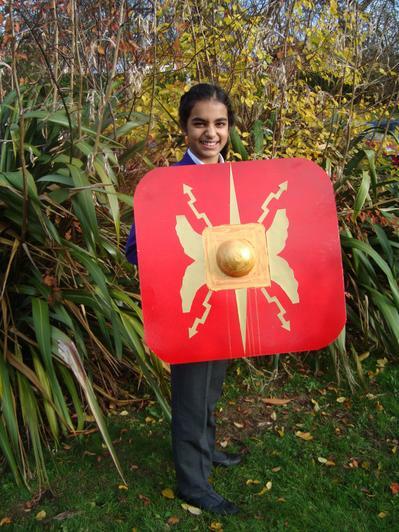 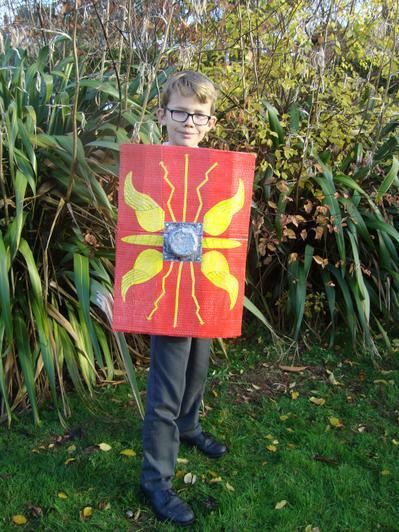 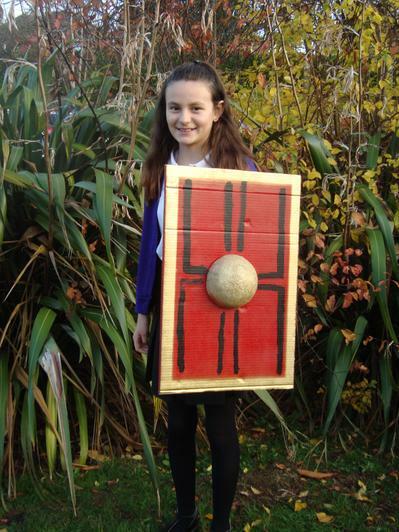 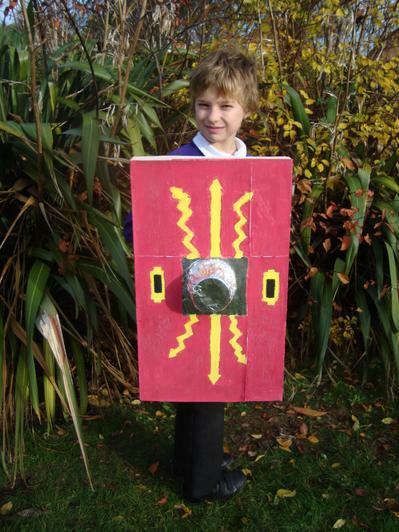 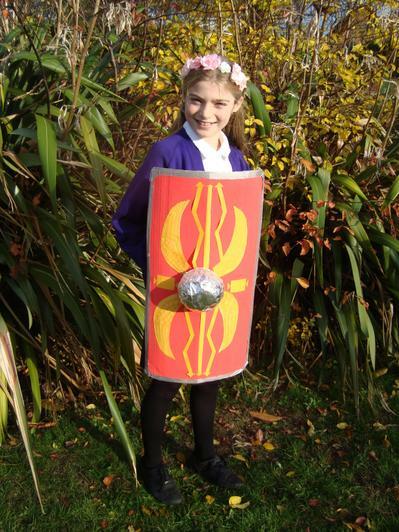 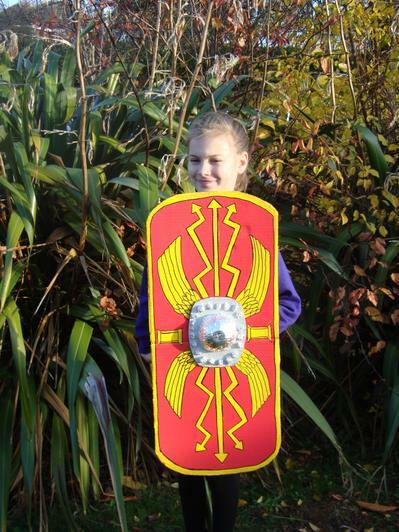 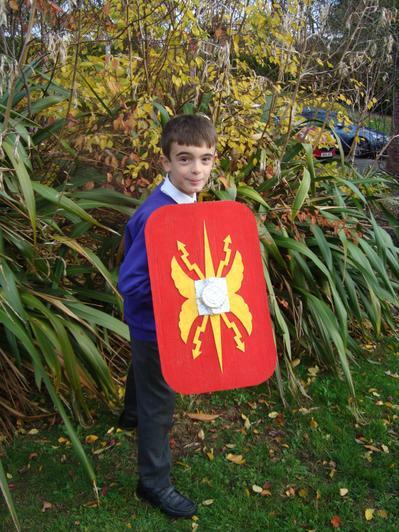 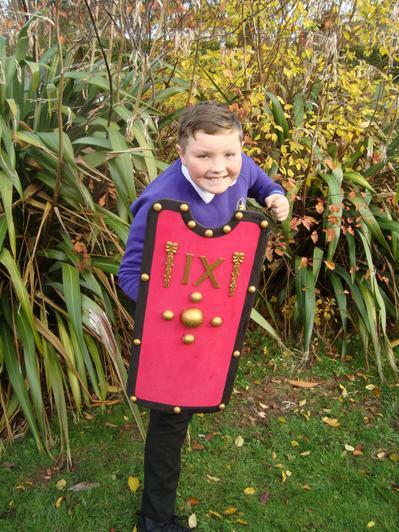 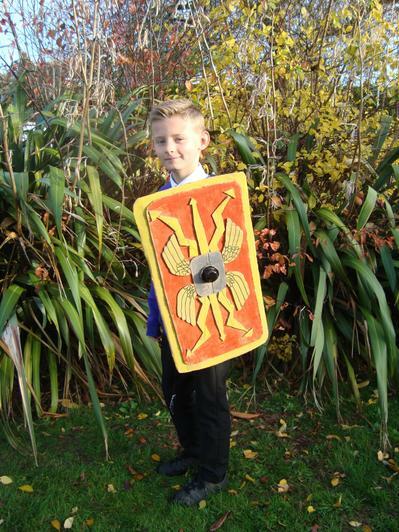 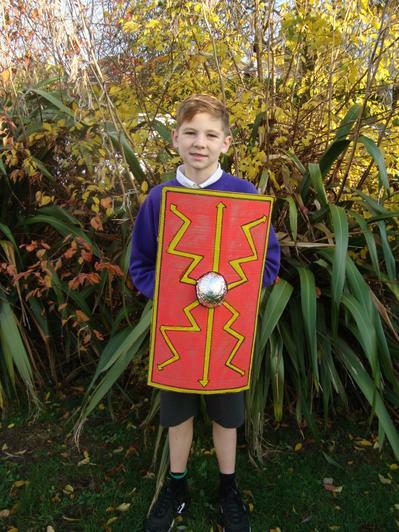 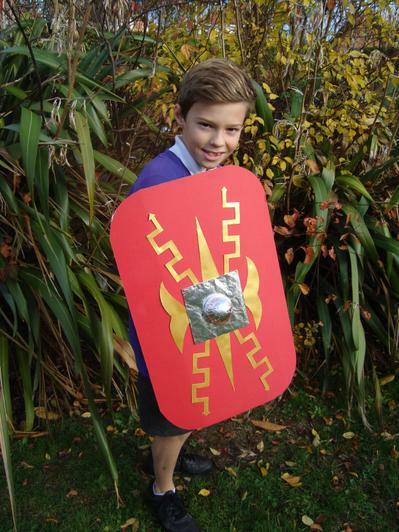 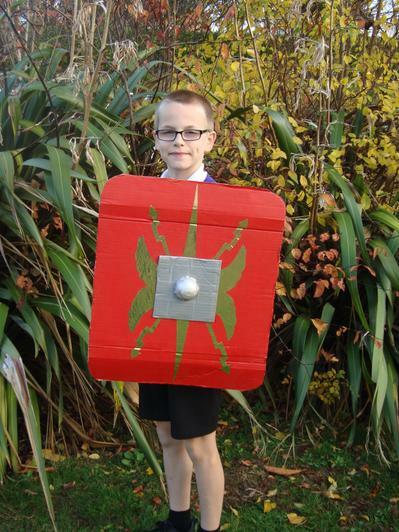 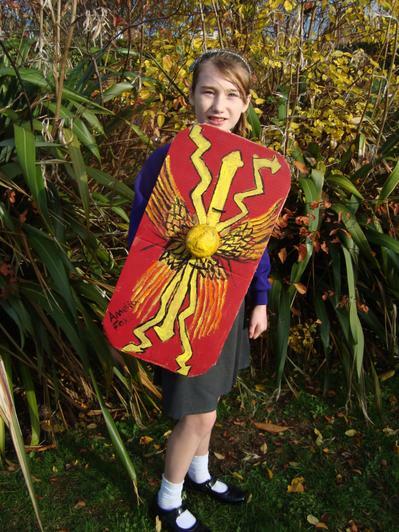 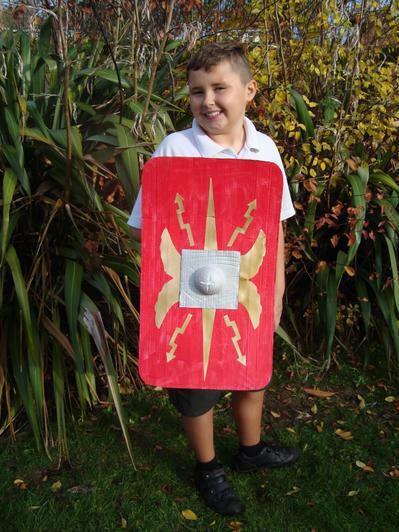 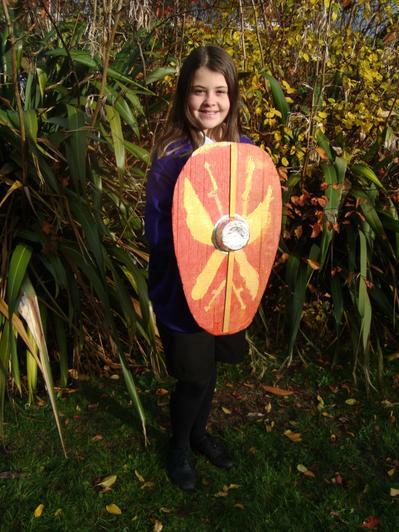 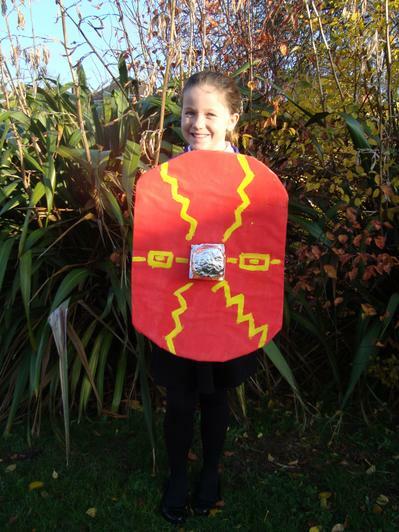 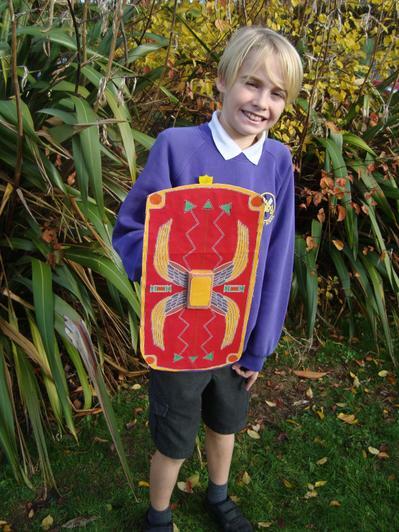 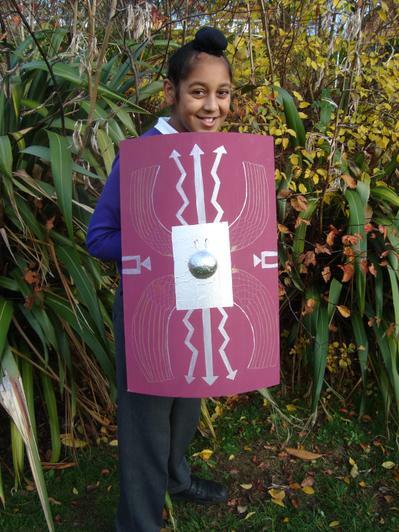 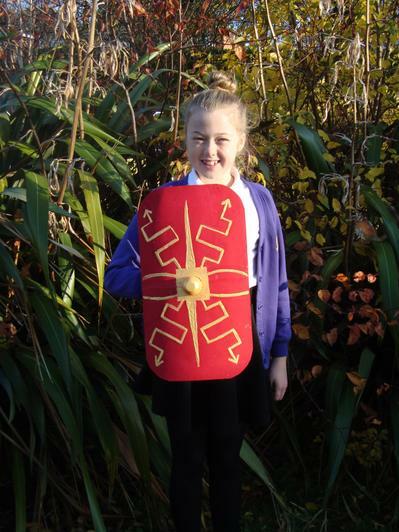 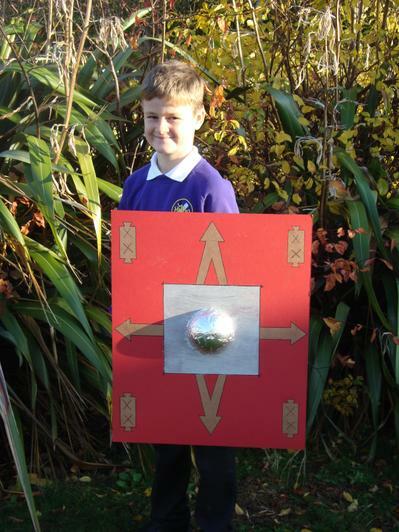 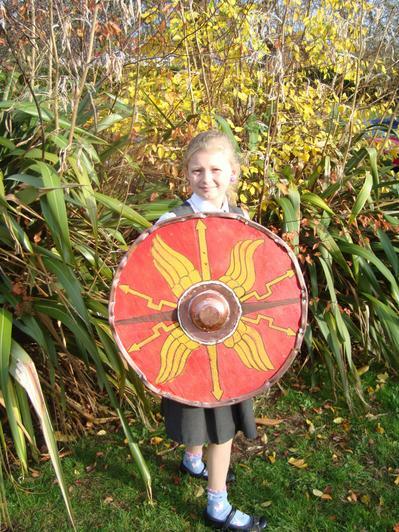 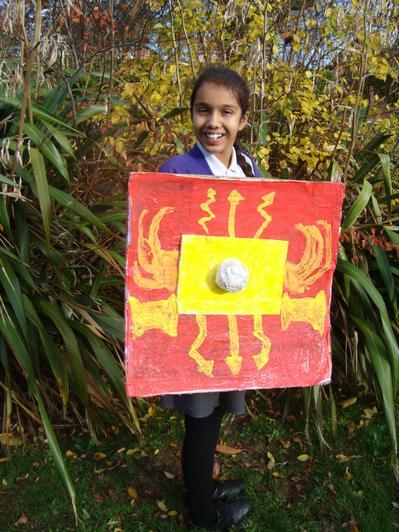 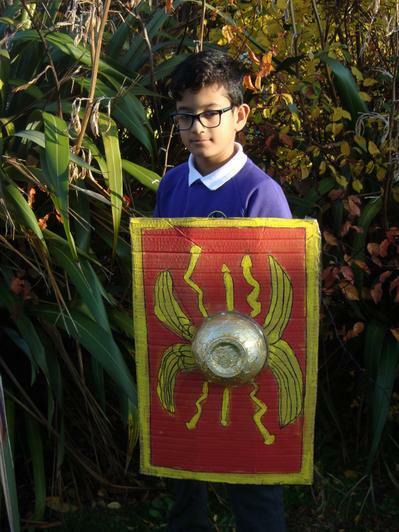 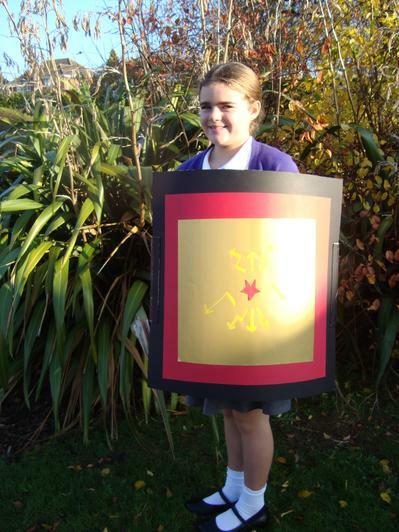 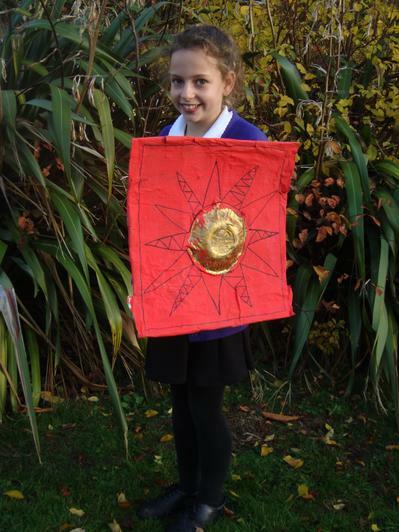 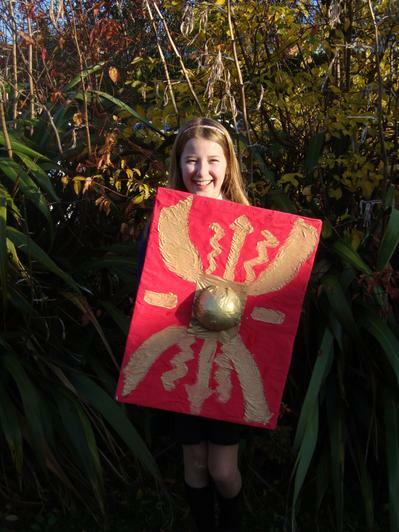 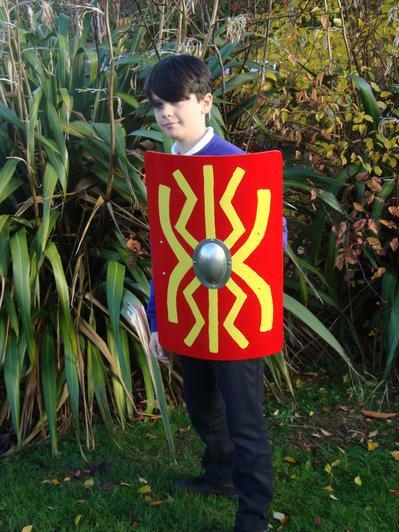 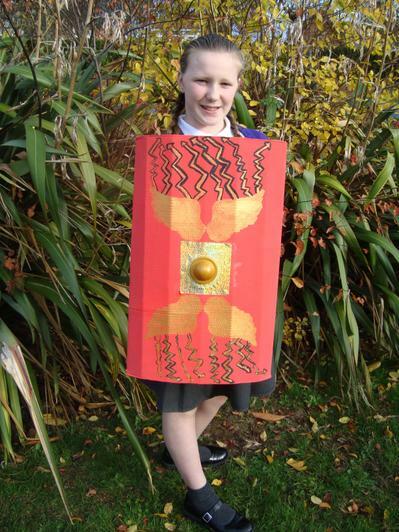 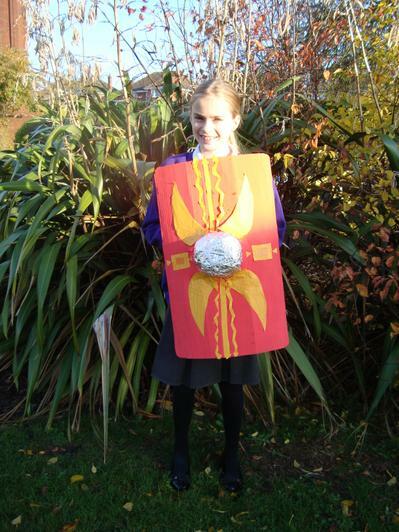 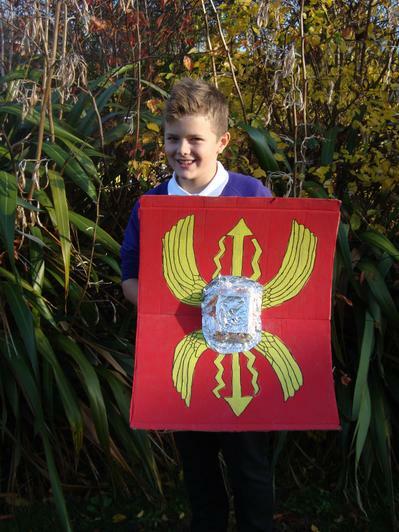 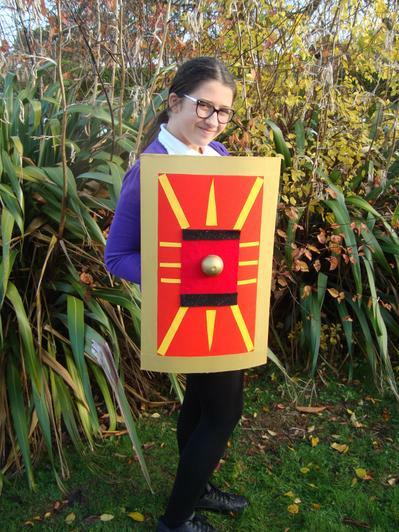 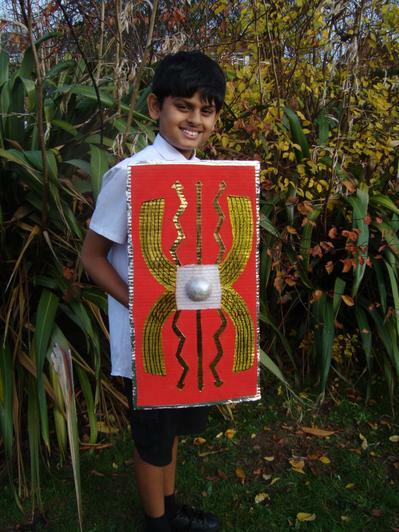 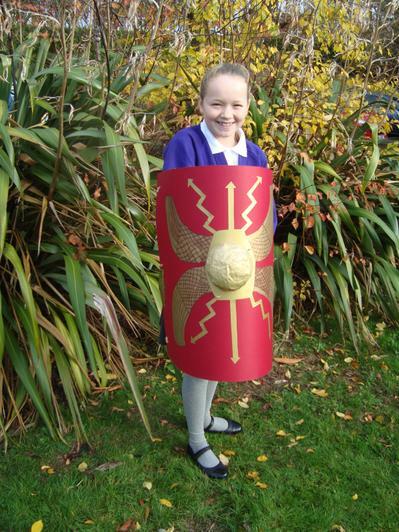 We are looking forward to sharing and playing them at the forthcoming Roman Showcase at the end of term. 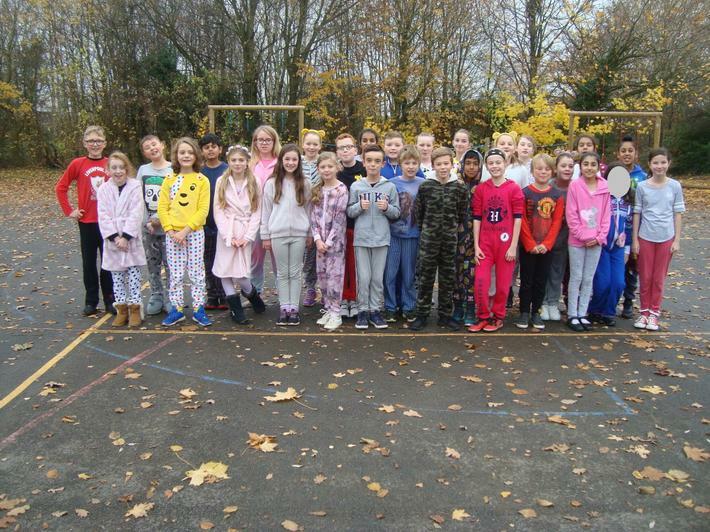 The children and staff raised lots of money for Children in Need and, through kind donations from home, managed to raise an impressive £675.25! 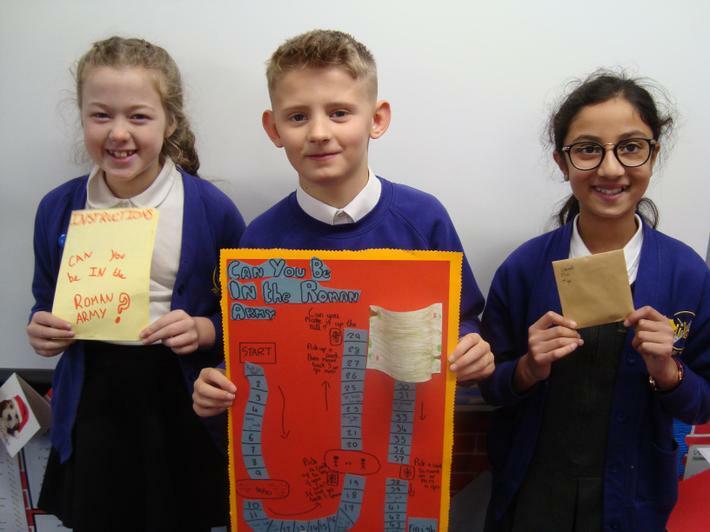 Year 6 really enjoyed wearing their pyjamas in school for the day and also creating a money trail. 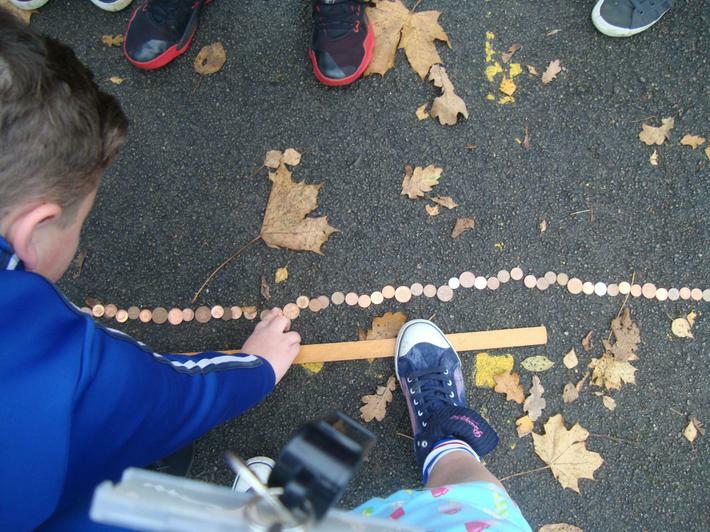 Class 6N managed to make the longest trail in the school which reached a whopping 19.83 metres. 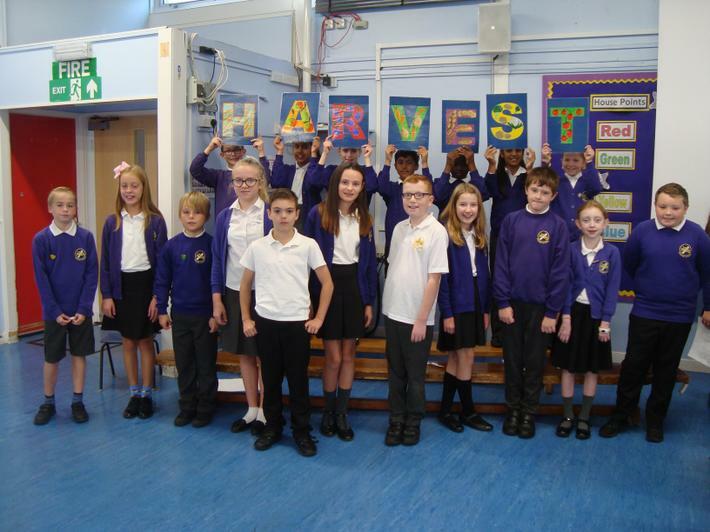 In the autumn term, year 6 arranged and presented a Harvest assembly for the whole school. 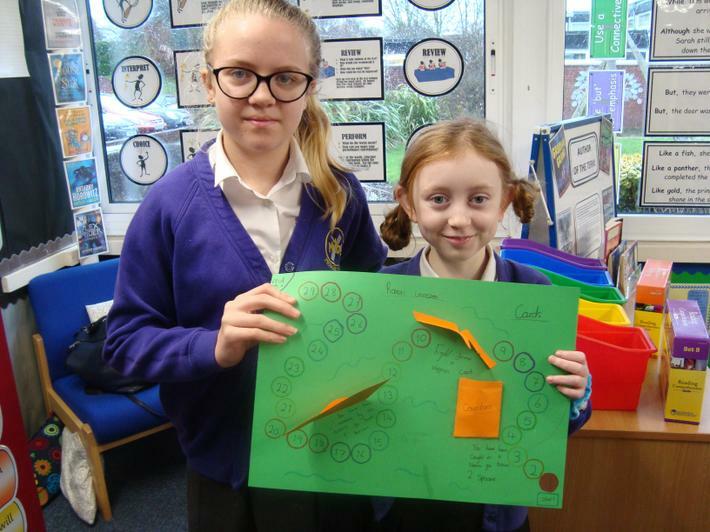 They thought about all of the good things that the earth provides and how it is important to show generosity during this season. 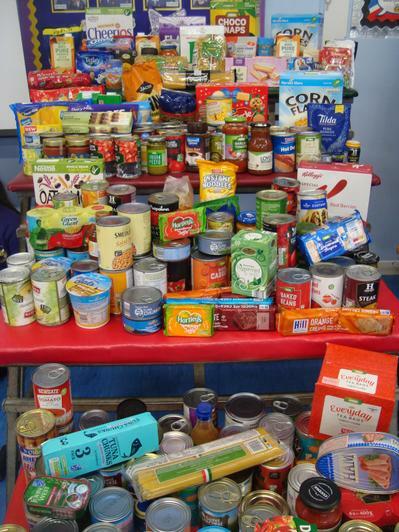 Year 6 helped to collect and collate all of the fantastic food donations which weighed in at an impressive 319.7 kg! 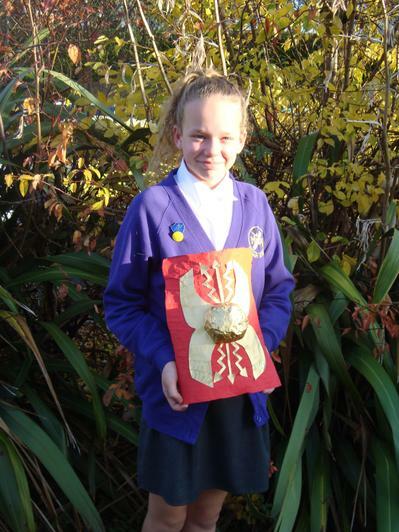 Thank you for your harvest gifts.